When 43-year-old amateur singer Nisha Panchal steps into an amphitheatre at Jijamata Garden in Thane’s Bhaskar Colony, there is no stage fright. Her motivation is her audience comprising around 80 to 150 people. Her award is the applause she gets after her performance. She is part of Sangeet katta which meets every Wednesday and Friday. “The atmosphere is filled with a positive vibe. When like-minded people come together, they bond as a community. We share our struggles and achievements and support each other in ups and downs,” said Panchal. Members of Abhinay Katta join them to showcase their talent. “We are expanding every year. We included a sangeet and Vachak katta too. It is a hub for budding talents and amateurs are given an opportunity to perform and improve. We conduct shows for them and this gives them exposure. Stalwarts in the entertainment field are also invited,” said Kiran Nakati, 44, film director and the brain behind Abhinay Katta, which has churned out many talents in Marathi film and television industry. A similar initiative was the Gadkari katta that was started by actors, writers and a few others from the entertainment industry. Popular for being a cultural hub in the central suburbs, Thane has developed many kattas over seven over the years. Two middle-aged women started Atre Katta in 2000 after they took voluntary retirement from work. It was named after Acharya Atre, a well-known poet, writer, educationalist and political leader. Started with an aim to bring together retired senior citizens and to keep them occupied, some of the kattas have roped in youngsters, providing a platform to showcase talent. “Our aim was to keep senior citizens involved in activities one day a week. We have a strict no- politics rule and we begin our session with a talent display or those who wish to express their opinions on a particular topic,” said Sampada Wagle, 65, founder of Atre Katta. Every alternate week, the kata invites personalities to share their experience and talent. “This gives us an opportunity to know about various skills and its challenges. We also focus on promoting Marathi. In the last two months, we have had youngsters showing interest in our katta. This gives us hope that it will continue,” she said. A decade ago, Rajesh Jadhav started Brahmand katta for residents of Brahmand. “Atre katta’s popularity was such that everyone longed to be part of it. However, for those living in Brahmand, it was difficult to commute regularly. So, we started our own katta,” said Jadhav, 45. Not only senior citizens but also youngsters have joined the katta. “This is a great initiative. We stay away from television or gadgets on Sunday. I enjoy the sessions where they sing old songs and everyone gets to perform. There is no age barrier,” said Geetha Venkatraman, a resident of Brahmand. The kattas stay away from politics, focusing completely on talent and culture. Last year, Abhinay Katta started Sangeet Katta and Vachak Katta. “It is interesting to have a Vachak Katta closer home. With social media taking over, many do not give time for reading,” said Aditi Shenoy, 27, a resident of Brahmand. Started 18 years ago, it keeps senior citizens involved in activities and gives them an opportunity to showcase their skill and talent. They meet every Wednesday at Jijau Garden, Kopri. 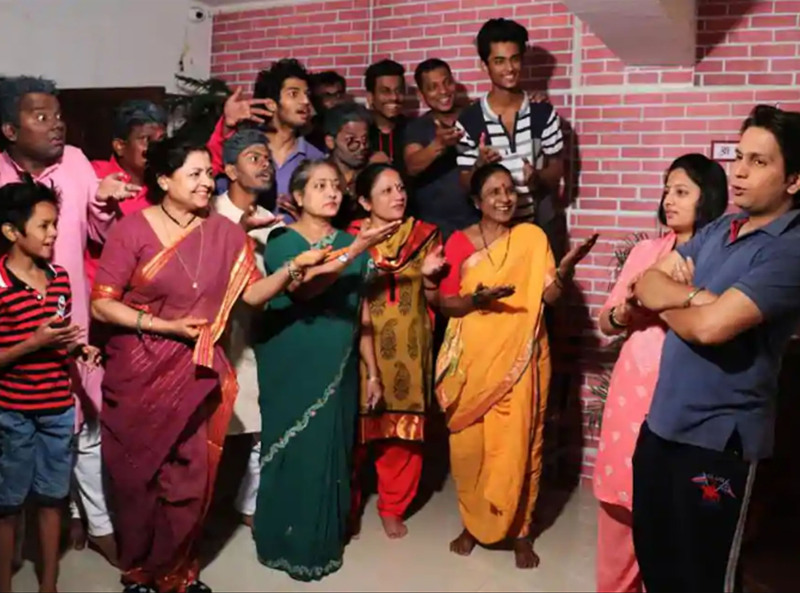 Started in 2011, abhinay katta focuses on providing a platform to budding actors. They meet every Friday. Each individual plays an important role backstage and onstage. They have created sangeet and vachak kata. Special children interested in cultural arts are taught dance, music, anchoring and acting depending on their interest. Every Sunday for over a decade, residents of Brahmand katta meet and display their talent. They also conduct music sessions which get a huge response from young and old.